Drones can be used to record incredible scenes for movies, follow thieves from above, save lives or carry out home deliveries at lightning speed. Unfortunately, this also opens doors for people to misuse them for malicious gain. Researchers in Singapore have demonstrated how attackers using a drone with a mobile phone could easily intercept documents sent to a seemingly inaccessible Wi-Fi printer. The method they devised is actually intended to help organisations determine if they have vulnerable open Wi-Fi devices that can be accessed from the sky. But the same technique could also be used by spies for corporate espionage. To demonstrate that this threat is real and exists, the investigators paired a drone with a smartphone and developed two apps that were designed to intercept the communications of a printer from the outside. 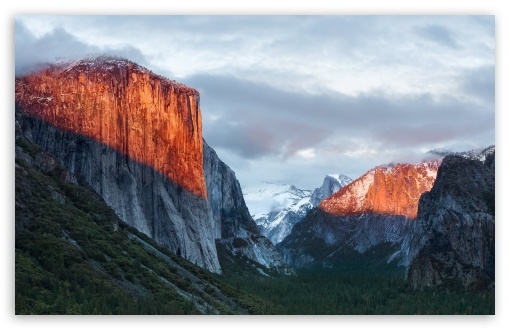 September 30th saw the launch of El Capitan, Apple’s new operating system for their Mac range. The good news is, Panda Antivirus for Mac is compatible with El Capitan! Blocks both malware for Mac OS X and malware for Windows. It scans both files and emails. It offers two kinds of scans: a real-time scan that continuously analyses Mac files, and another that performs monthly, on-demand scans. You can even scan iPhones, iPads and iPod touch for malware. Remember that Apple and its devices aren’t invincible. To avoid any unpleasant surprises such as XcodeGhost, you should consistantly update the operating system, download apps from the official store and use security software. Learn more about about Panda Antivirus for Mac. In the corporate environment, cyber-threats are becoming more and more sophisticated, security standards more complex and budgets tighter and tighter. The world of technology in the workplace is no longer just restricted to servers, workstations or email accounts – instead we need to consider mobile devices and the culture of BYOD (Bring Your Own Device). Companies also need to be aware of problems that may arise from new trends such as social media and the impact that all of this can have on the security of our corporate networks. This places great stress on businesses when it comes to the monitoring and management of information security. It’s becoming more and more common for malicious applications on Android to use ransomware as a means of attack. It is one of the most worrying threats to mobile users as it renders the device unusable until the fee is paid and is sometimes difficult to eliminate completely. Google is aware of this issue and has finally decided to face it head on. Android 6.0 Marshmallow, which is already available on selected terminals, makes it more difficult for cyber-criminals to hijack users’ phones. This is thanks to the company’s experts designing a more advanced operating system to manage the permissions asked by different applications. Until now, users accepted all of the permission requests at once when they installed the apps. Due to this, seemingly inoffensive apps such as a simple flashlight were able to access features that were not related to its sole purpose. Not all of these apps were dangerous and for the most part companies were only trying to fine tune their advertising. However, by allowing access to other functions and domains on the mobile devices – users opened the door for malware to infect the device as well. The traditional desktop computer is no longer the only device we use to get work done. For the past few years workers have increasingly begun to use their own smartphones and tablets for work. According to a study carried out by Tech Pro Research, 74% of businesses allow, or are planning to allow, their employees to bring their own devices to the office. Despite the benefits, such as being able to communicate easily with employees when they aren’t at their workstations, security remains a priority and with the BYOD (Bring Your Own Device) culture – it is important to stay on top of it. The variety of devices used in the workplace and the resulting loss of control held by the business, means that cybercriminals are able to take advantage of the many vulnerabilities in mobile devices to access the company’s network. The second quarter of 2015 shows that there was an average of 230 000 new malware samples created daily, totaling 21 million from April to June. This is a 43% increase in comparison to the second quarter of 2014. Trojans continue to be the most common type of malware and are the main source of infection, with 76.25% of users infected. This quarter also showed the proliferation of PUPs (Potentially Unwanted Programs) which accounted for 14.39% of infections. There has been a dramatic increase in ransomware over the last few months. What users don’t realise is that these kinds of attacks will continue to grow, as long as companies and consumers succumb to paying the ransom – this should be a last resort.